Welcome to AE Design Jewellery, the family run business that has become one of the leading jewellery stores Sydney CBD has to offer. Established in 1957 and located in the historic Westpac Trust Building on King Street, Sydney CBD, our unique jewellery designs have been wowing customers for over 70 years. 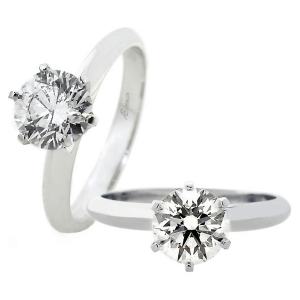 Whether you are looking for wedding bands, engagement rings, or other bespoke jewellery in Sydney, AE Design Jewellery is the name that you can trust. We have worked hard to build an enviable reputation and are proud to be one of the finest jewellery designers Sydney has, and we also strive to give all our customers an excellent level of service. 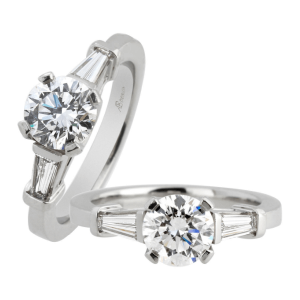 If you are looking for handmade jewellery Sydney, look at some of our spectacular engagement rings and wedding rings that we have available. Our jewellery shop, design and create unique ring designs based on our customer’s wishes and capture their unique style and personality in the design. 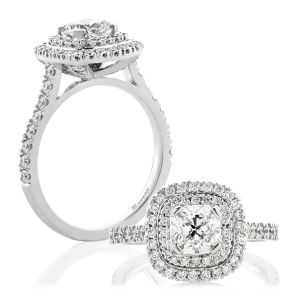 As one of the leading jewellery stores Sydney, you will also be able to rest assured that all our diamond rings are GIA certified and each stone will come with a certificate of authenticity. Out of all the jewellery shops, Sydney has available to consumers, we are right in the heart of thee central business district with an enviable location. 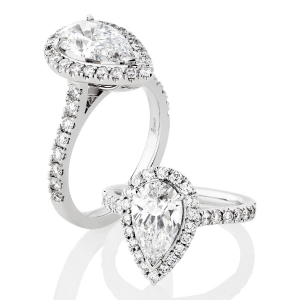 Out of all the jewellery shops Sydney has, why choose us? The answer is simple as we are a custom jewellery designer that has decades of experience, as well as thousands of happy customers over the years. 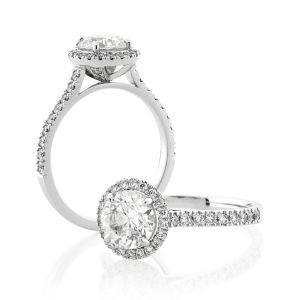 Creating pieces of exquisite jewellery is something that we are passionate about, and we know just how much a beautiful wedding or engagement ring means to our customers. We can help you to create jewellery that is suitable for everyday wear, as well as something that looks eye-catching, whether it is created from coloured gemstones, yellow gold, rose gold, or even sterling silver. Out master craftsmen have the experience to create the perfect wedding or engagement ring, or any other type of jewellery such as pendants, bracelets, eternity rings, or earrings. When you are looking for jewellery stores, Sydney city has plenty of them, but none with the friendliness and expertise that we offer to our customers. Look at what some of our customers have to say about our products and service on our testimonial page, and you will see how focused we are in making sure that our clients are 100% satisfied with the bespoke jewellery that we create for them. 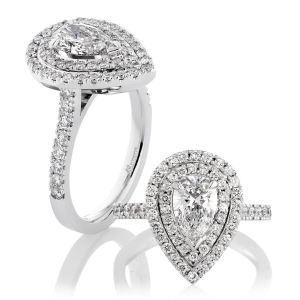 When people search for diamond jewellery Sydney, they often think that having a custom-made design created is out of their budget, and something that only the wealthiest people do. However, you may be surprised to find out that it is not just a service for the privileged, and you can get a custom designed piece of jewellery that does not cost the earth. We have a wide selection of designs available that we can fully customise to your requirements, and we also have our Pronto Collection as well. We created the Pronto range of jewellery for those that want luxury handcrafted jewellery at an affordable price. With plenty of selection available, you will be able to find the perfect wedding and engagement rings to suit your taste and budget. 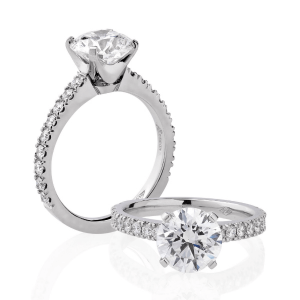 Whatever ideas you have for your engagement or wedding rings, contact AE Design Jewellery today and speak to one of our friendly and knowledgeable members of staff. We are here to help educate our customers to ensure that they know what it is that they are buying, and what it is that they are getting for their money. Contact us today using our online form, or give us a call on Tel: 02 9232 0022. Proposals during Easter discounts. Click for more information. 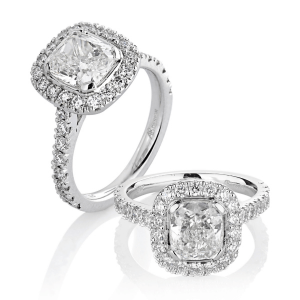 Come and see us for an obligation free consultation with one of our designer gemmologists.